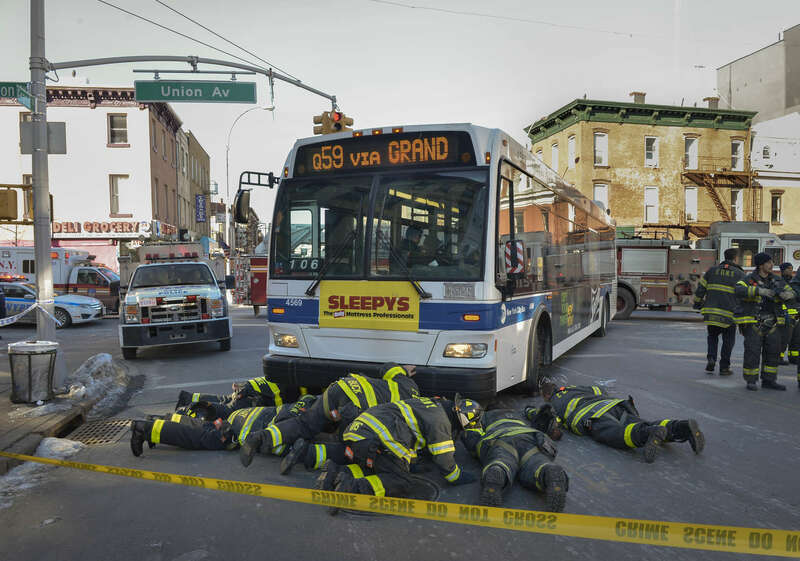 FDNY firefighters check under the MTA bus after Jiahuan Xu, 15, was struck at the corner of Grand Street and Union Street in Brooklyn on February 13, 2015. MTA bus driver Francisco de Jesus, 58, was arrested on criminal charges under Mayor Bill DeBlasio's Vision Zero plan. In a previous time he would have just received a ticket charging him with a non criminal traffic violation.